Hatsune Miku: Project Diva X is due out for PS Vita and PlayStation 4 this August 30, and there was plenty of footage ripe for the picking during E3 2016. GameSpot did the venerable work of capturing 15 minutes of English gameplay footage to bring Miku to the masses. Not much else to say about it aside from the fact that I really wish it were me soaking all the Miku in, but check out how smooth and gorgeous the sequence is. 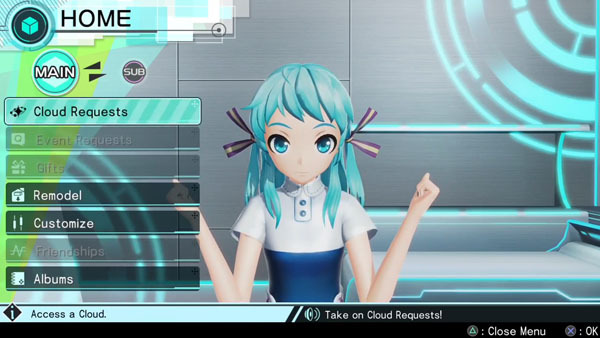 The video shows off "Cool Medley - Cyber Rock Jam," one of the various medleys there are in the game to perform. Check out the footage below and get hyped for the game's August launch by practicing with the prior Project Diva releases!